The holiday season is a magical time of the year, unless, however, you are in charge of hosting all the festivities. The thought of friends and family crowding in your kitchen is certainly daunting, especially with those old and worn countertops you have. Installing new kitchen countertops can increase the visual appeal of your kitchen, as well as offer plenty of other benefits. 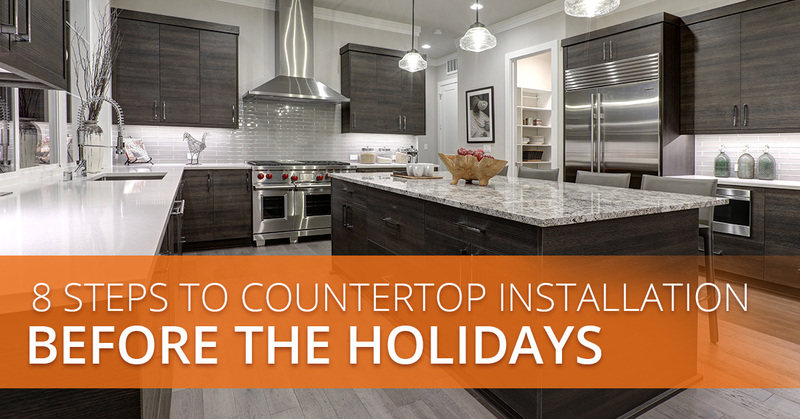 With time winding down, if you want new kitchen countertops installed before the holiday, be sure to keep reading as we put together some helpful tips to ensure you know what to do and expect during a countertop remodel. Before you begin looking for new countertops, the first step is to establish a budget. Figuring out what you are able to spend will give you a realistic expectation of what you will be able to accomplish in your kitchen countertop remodeling project. Planning is essential, especially when it comes to any remodeling project. Being without a kitchen for any amount of time is overwhelming, especially during the holidays! While the countertop installation process is fairly quick, it is beneficial to plan ahead and ensure that you are prepared. If you are deciding to change the layout of your kitchen, such as adding an island to the middle, it is good practice to understand the ins and out of your existing space to help identify what you want and don’t want in your new kitchen. Keep in mind kitchen traffic patterns, and plumbing and electrical components. Before you contact a countertop company or head to the nearest countertop showroom, it is vital to first take note of the measurements and dimensions of your current space. While these measurements do not have to be exact, they will give the countertop company a good understanding of your kitchen. Further in the process, a team member will schedule a time to stop by and take precise measurements once you have chosen the countertop you want. There are a variety of countertop materials to choose from. You will have the options to choose from materials such as natural stone countertops like quartz, granite, and marble, or an engineered solid surface countertop. If you still are not sure which is the best fit, click here to view a vast selection of countertop surfaces and colors! Once you have chosen a material, as mentioned, a professional will visit your home to examine your kitchen and take note of all the required information regarding your countertop installation. No one wants to be surprised with extra charges or unforeseen problems, which is why they will record extremely accurate measurements. When the time comes for countertop installation, it is important to ensure that your house is prepared and ready. Be sure to clear pathways and entryways. Of course, make sure there are not any items on your existing counter space to ensure a smooth removal and installation process. Let The Countertop Installation Company Handle The Rest! Now you can sit back and relax, while your local countertop installation company handles the rest of the work, and before you know it, you’ll have beautiful, new kitchen countertops! Want New Kitchen Countertops in Barbados? If you are searching for kitchen countertops, contact the team at FiberPol. Whether you are interested in natural stone or engineered solid surface countertops, we have a wide selection of kitchen countertop materials and styles to choose from. 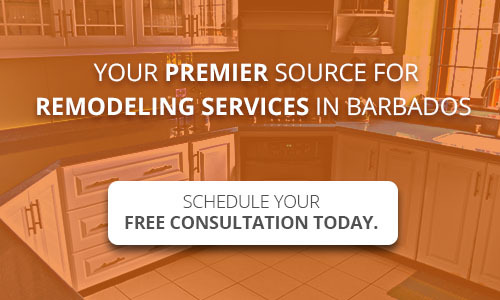 To learn more about countertop installation or any of our other Barbados remodeling services, contact us today!